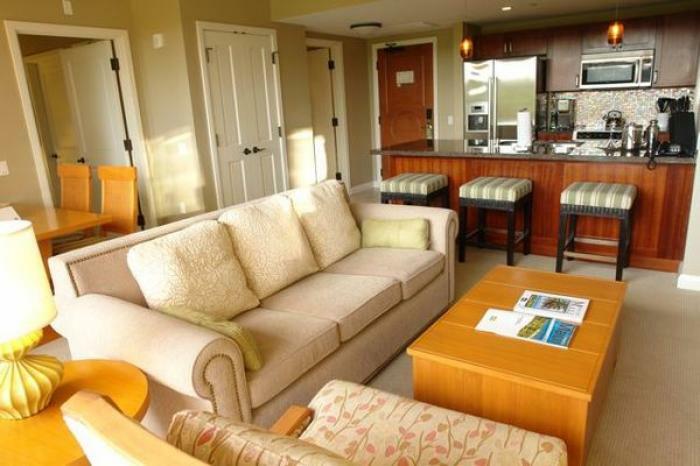 Resort views in North Ka'anapali in our brand new one bedroom condo at the Honua Kai in the Hokulani tower with an easy path access to the boardwalk. Granite counter tops and stainless steel appliances make for an exceptionally polished look. In addition to the flat screen TV in the living room there is also a flat screen TV in the bedroom. Bring your laptop and access the free wireless signal. Free local and long distance calls to US Mainland and Canada. Floor plan B1 700 sq ft; 145 sq ft lanai.